Most of that is factual, except there is no horse. “All the information is true except for the fact that I don’t have a horse,” he said. 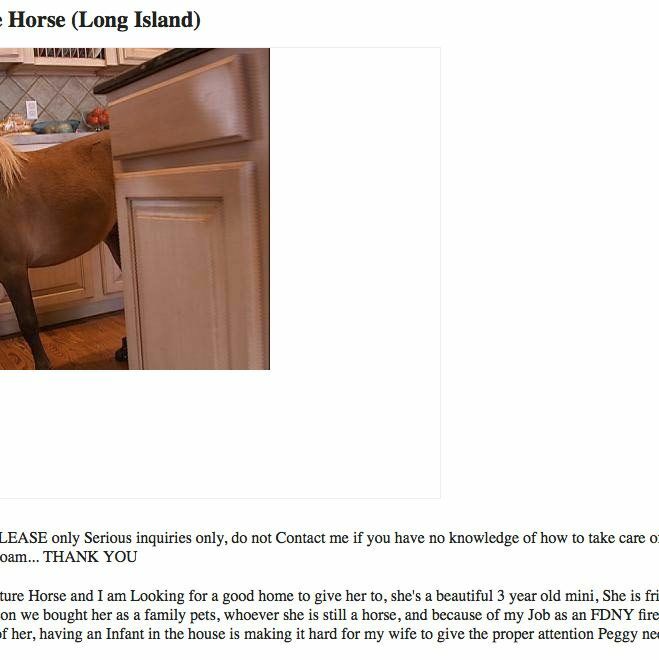 “My wife is at home frantically trying to call Craigslist, but they don’t really have customer service.” The ad is, as of now, still live, almost five hours after it was posted. Troy said he had one idea of who might pull that sort of gag, but the suspect insisted he would never do such a thing. Asked if it was the weirdest thing to ever happen to him, Troy, audibly frustrated, said, “Probably at least in the top five.” And then he hung up.